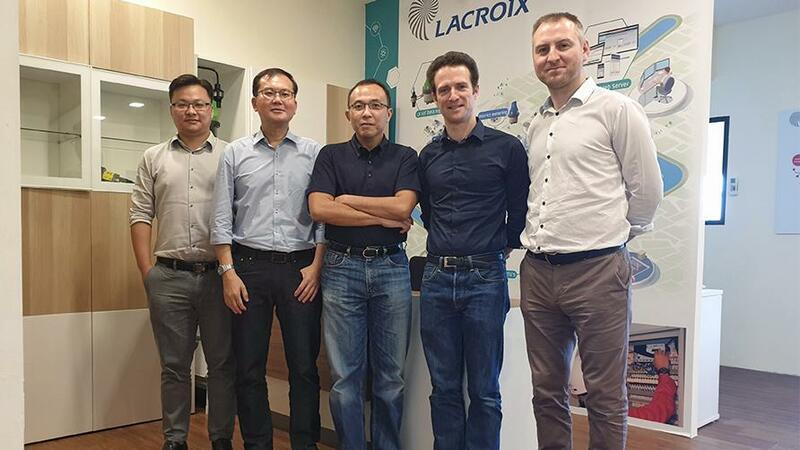 LACROIX Group has passed a major milestone by opening a subsidiary in Singapore in order to strengthen LACROIX Sofrel’s positions in the region. Smart environment becomes a critical theme in Asia. After having invested for a couple of years in ASIA and set up several strong partnerships in various countries and served many customers in the region (Thailand, Vietnam, Indonesia, Malaysia, the Philippines, Cambodia, Singapore, China…). “Time has come to get closer to our partners and customers. We aim at providing various kinds of services such as, but not limited to, pre-sales recommendations, trainings, day-to-day technical support” stated Eric Woo. Eric says: “Our customers highly appreciate the support provided by our French office, but as the demand and the number of projects is substantially growing in Asia, having a team based in Singapore was somehow becoming a must. Decision taken by LACROIX to open up a subsidiary in Singapore will for sure be perceived by our partners and customers as a strong will to invest in the long run”.